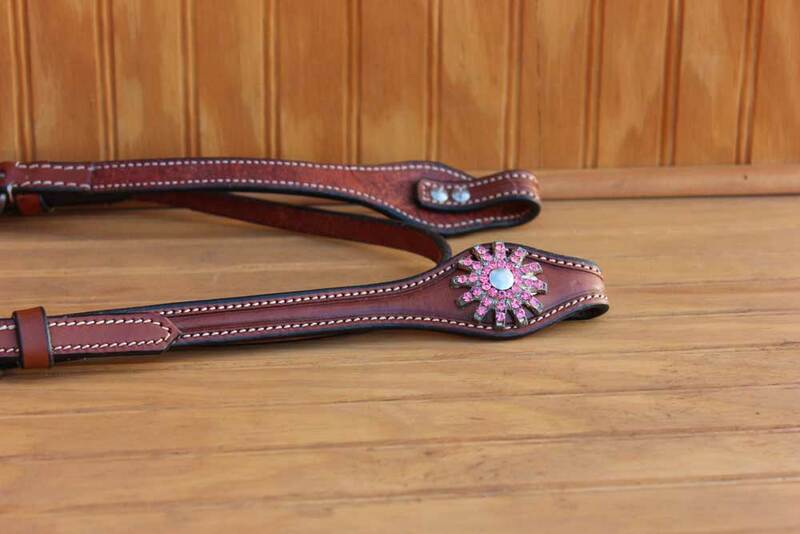 Super cute, chestnut headstall with spur rowel conchos inlayed with pink crystals. This set is just darling- perfect for a little girl, or anyone who likes a little bling. Not a fan of the bling? No problem! 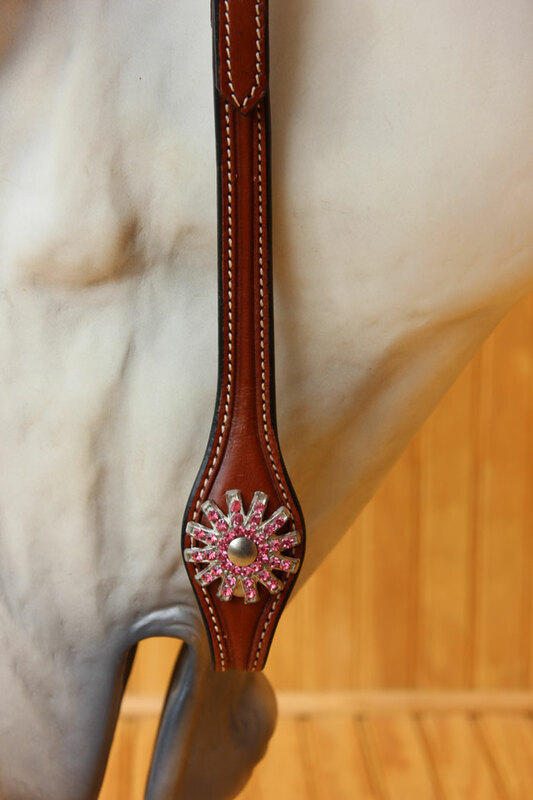 Change it out for any 1″ concho. 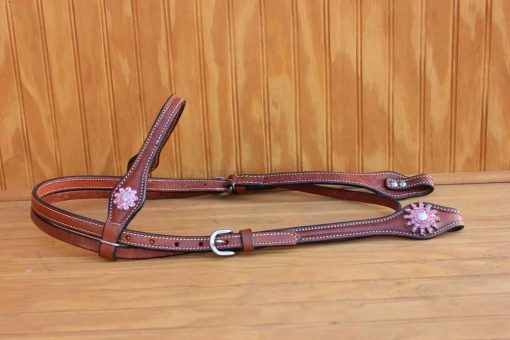 Headstall itself is made of a good, thick chestnut leather and will hold up to years of use. Priced because the factory didn’t do the best job setting in the stones, and I have had a few fall out- so, no guarantee on the stones. “Great, GREAT price – cute headstall! 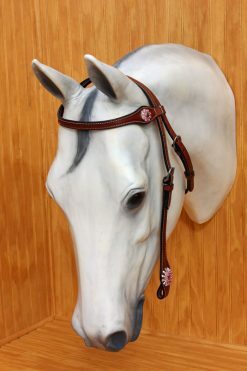 I got a couple of these for horse show prizes and the kids loved them. The leather is great quality with a pretty color and finish and the bling is way fun!